Las Vegas has climbed the ranks as one of the most culinary diverse cities in America. Top chefs are opening restaurants along the Strip, not only for the foot traffic, but the prestige of having their names associated with the food scene happening in Sin City. The celebrity chef statuses to be found here make a new restaurant opening welcomed with the same level of excitement as a rockstar announcing an entertainment residency. And, nothing goes better with the Vegas mentality of “go big or go home” than a top-of-the-line steakhouse dinner. 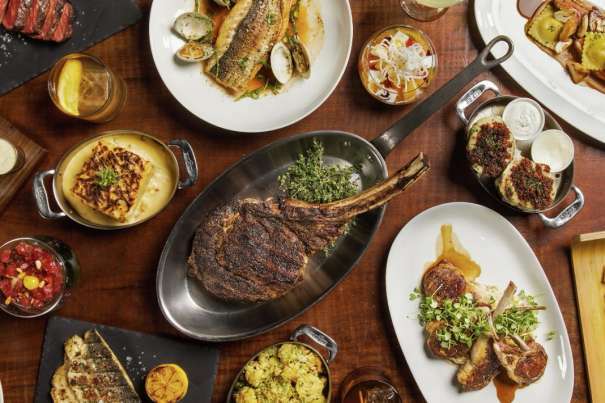 If you’re in search of the best steak restaurants in Las Vegas, look no further than the steak restaurants at MGM Resorts where the best chefs make the best food in Las Vegas. Foodies recognize Tom Colicchio best from his stint as judge on Bravo’s Top Chef culinary competition. But he’s been in the restaurant business far longer than that. Colicchio is a James Beard award winner who believes in taking fresh ingredients and letting their flavors shine through without a lot of fluff. You’ll notice from his minimalist menu approach that less is more. 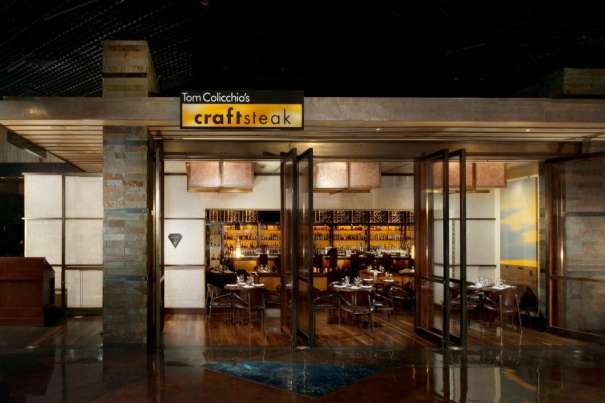 Tom Colicchio's Craftsteak at MGM Grand features several nice cuts of meat as second course options, but the dry aged RR Ranch, bone-in 18 oz. ribeye takes its rightful place front and center. 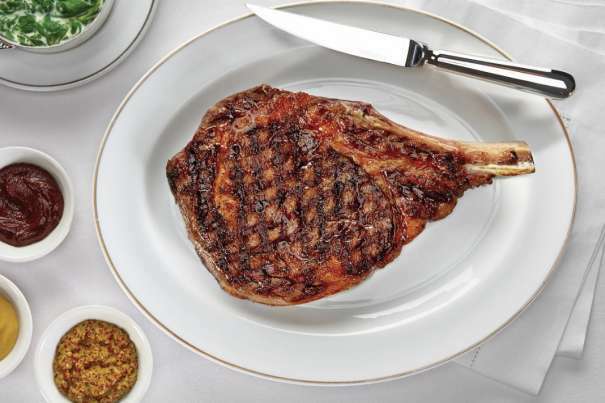 Circus Circus steakhouse has reigned supreme as Best of Las Vegas for more than 30 years. In 2011, it was named Zagat’s Top Steakhouse for its mesquite-grilled steak dinner options. THE Steak House takes a more traditional approach to its menu and guests can order their favorite cut of meat accompanied by a side dish, vegetables, and fresh baked bread. 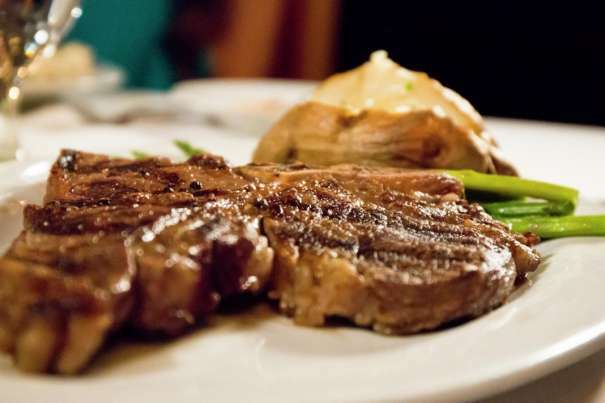 Of course, awards mean nothing if the food can’t back it, but we’d say with 30 years of recognition under its belt, THE Steak House deserves its spot as a premier place to get a steak. 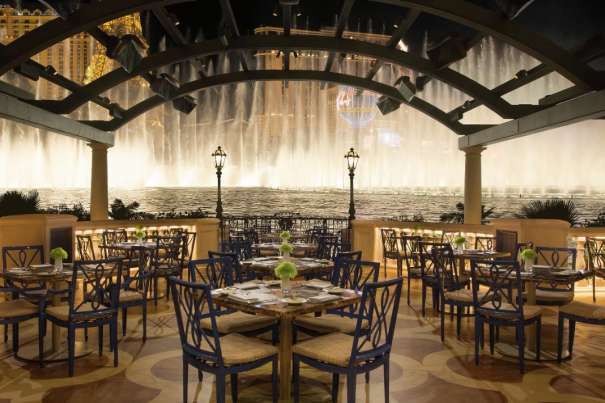 Dining at Bellagio Las Vegas is a splurge-worthy experience no matter where you make reservations. But a table at the much sought after Bellagio steakhouse is a good reason to indulge. While the menu’s braised short ribs is one of the most popular dishes, guests would be remiss to skip over a chance to try the massive, 22-oz. porterhouse, which can be served with a choice of peppercorn, béarnaise, or soy-rice wine. Then again, there’s much to be said about simplicity. Sauce or not, add a side of truffled mashed potatoes for one classic meal elevated to another level. Food lovers everywhere know the name Jean Georges Vongerichten. 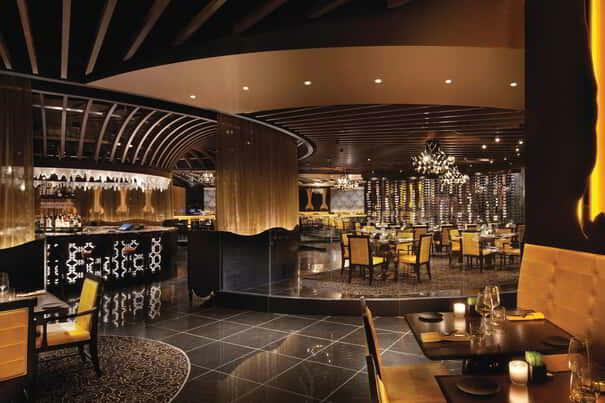 This premium steakhouse restaurant is amongst the finest of dining on the Las Vegas Strip. 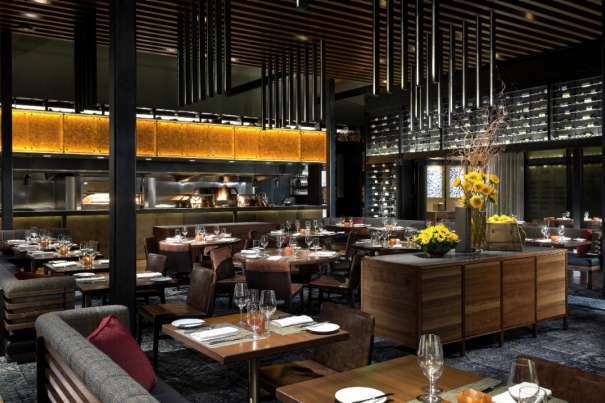 His steakhouse, located in ARIA Resort & Casino, brings guests from around the world for his prime cuts of meat – especially the Kobe beef which makes Las Vegas one of the few places guests can enjoy the culinary delicacy. And to make decisions even tougher for his guests, Jean Georges built an extensive dessert menu, featuring classic sweet treats as well as dessert wines that can satisfy most any discerning palate. So nice, he hit the list twice. It’s tough to play favorites, but you wouldn’t be the first person to make a reservation at Craftsteak and then, at The Mirage’s Heritage Steak in the same week. They’re both simply that good, with Heritage Steak’s flavor getting a different variety of “oomph” from their wood-fired grills. But compare both dining experiences for yourself and see if one outranks the other. We recommend reserving the ribeye experience for Craftsteak. But at Heritage Steak, try the Tabasco-peppered, 10-oz. American skirt steak. Add a side of fried mac and cheese with bacon dip or an order of the truffle risotto for that extra indulgence always necessary for a full steakhouse experience. Offering modern American fare with a focus on all natural Certified Angus Beef and American Wagyu cuts of beef cooked over wood, Stripsteak at Mandalay Bay, is known to be a modern alternative to the traditional steakhouse. Other specialties include Slow-Poached Prime Ribs that are cooked in their own juices for eight hours; American Kobe Beef Short Ribs with Horseradish Celeriac Puree and Red Wine Jus; and Salt-Grilled Maine Lobster with Risotto and Sweet Corn Sauce. Stripsteak provides guests the “true cocktail experience” offering over 500 different selections of wine and over 100 selections of single malt scotches. With its classic menu, inviting bar scene and sophisticated atmosphere, this may end up being one of your favorite steakhouses. An acclaimed Chicago classic has arrived in Las Vegas! Newly opened, Bavette’s Steakhouse & Bar delivers decadently reimagined steakhouse fare with a dash of French flair. 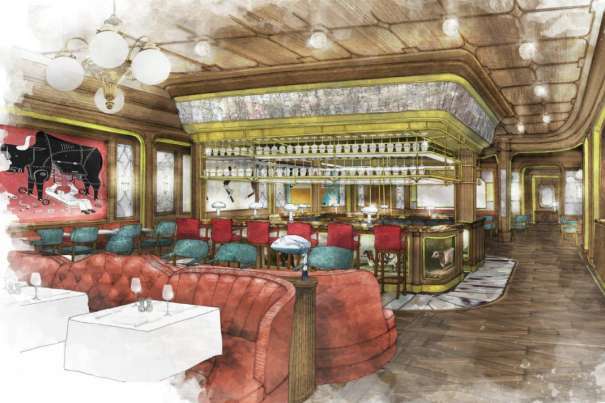 Newly opened, Bavette’s Steakhouse & Bar at Park MGM delivers decadently reimagined steakhouse fare with a dash of French flair. The eclectic menu uses generous and sumptuous sides and desserts to frame impeccable classics such as multi-story seafood towers and a bone-in dry aged ribeye that will renew even the most jaded palate’s faith in steak.